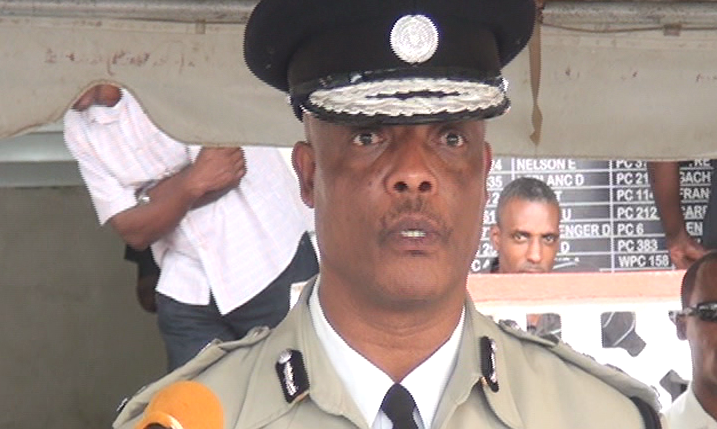 Tension is high within the ranks of the Dominica Police Force as members of the Police Welfare Association come to grips with allegations of subversion made by Police Commissioner Carbon. A release circulating on social media indicate that Commissioner Carbon may be planning to arrest members of his own force on the basis of this allegation. Subversion is a very serious charge, tantamount to treason, and the police men and women who find themselves in the cross-hairs of Carbon and the government ought to be very careful. We've obtained a recording of an unnamed individual giving what we determine to be sage advice to members of the police force. In the recording, the individual can be heard admonishing the officers who may be inclined to attend an upcoming meeting with the police hierarchy. Click on icon below to listen to recording. To listen to recording, click on this icon. Press PLAY if recording does not start immediately. The "Breaking News" release that has been circulating on the internet can be seen below. "In response to the Chief of Police allegation of conspiracy to plan a subversion made against members of the Police Welfare Association, the Executive Members of the Police Welfare Association has convened an emergency meeting at 7:00pm today 21st of March 2017. Having contacted their regional Police Welfare Association counterparts, they have been advised to seek legal representation and advice on this disturbing threat made by the Chief of Police to arrest them on suspicion of planning a subversion. According to a senior police officer, the Chief of Police, his Deputy Valerie and Superintendent Williams were hurried to an emergency meeting at the Financial Centre at 2:30pm today 21st March 2017 and on their return to Police Headquarters, the Chief of Police made this disturbing threats to the police officers. The senior officer can confirm that at the meeting at the Financial Centre, the Chief of Police, his deputy and Superintendent Williams were directed by the Minister of National Security and the PM to arrest the Police Officers on suspicion to send a strong message to the public and the Dominica Public Service Union members who intend to take action for salary increase. The senior police officer can confirm that the Chief of Police has called extra security to cover Police Headquarters and sensitive government points around Roseau and environment based on information from NJIC and Special Branch".